The Taj Mahal has long since stood not only as one of the seven wonders of the world, but also as an icon for Indian tourism. 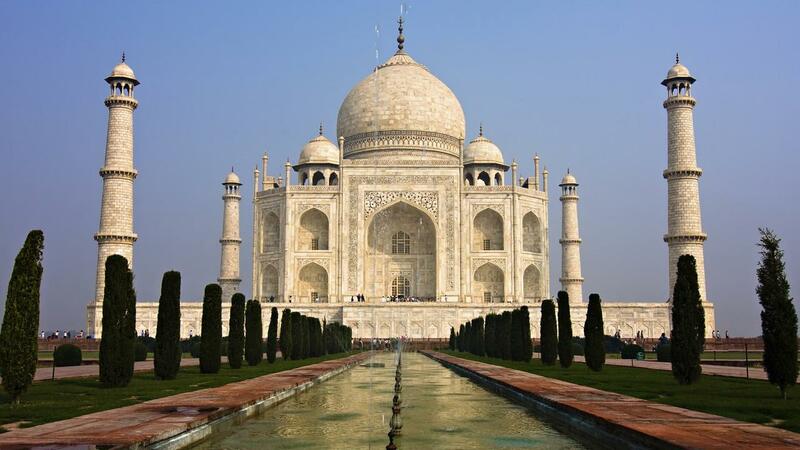 Situated in the city of Agra – the erstwhile seat of power during the Mughal rule in India – this shimmering marble structure is known as the monument of love. The Taj Mahal was built by the Mughal emperor Shah Jahan, who was heartbroken at the passing of his favourite wife – the stunningly beautiful Mumtaz Mahal. In fact, many history books recount tales of how Mumtaz Mahal was his equal in all matters including affairs of the State and finances. Anyways, coming back to the beautiful structure which took decades to build. The Taj Mahal has been flashed across news channels in the past 24 hours due to its absentee status in the new UP tourism booklet. And this being India, things have instantly exploded into a full fledged debate on all things communal (because that’s what we apparently do best) with the opposition throwing barbs left right and centre (no pun intended), at the current Yogi government. Because everyone in this country has an opinion – whether or not they have a plan. And also because there is nothing more important than the Taj Mahal when it comes to the development of UP. And do not even get us started on Tunday Kebabs yet. It is still early in the week. We can just imagine CM Yogi Adityanath saying, “Let us rid India of this remaining Mughal era nonsense. We will start with Taj Mahal and then we will proceed to the history textbooks.” Next, he will target the use of Harry Potter books in the new age syllabus. In the meantime, Shah Jahan and Mumtaz Mahal must have turned in their respective graves, looked at each other and giggled at the entire scene. And the opposition instantly erupted into a state of controversy and decided to let everything else be. After all, a monument was at stake – what could be more important? Definitely not sanitation, health, welfare, poverty, taxation, human lives! Thus we now have a new controversy. The term intolerance is being bandied about again, distributed like sweets at the local fair for a festival (Eid or Diwali – who remembers, anymore). And the news channels have a great 48 hour run of TRP highs before they latch on to their next controversy. Before we know it, the debate hour hosts will turn this into a maddening replay of events where each word will be dissected and contextualized in an entirely irrelevant manner. So before you jump the gun and decide to shoot down those who have ignored the Taj Mahal, get a grip, switch off the TV and take a walk outside. You might find things that are far more pressing and worthy of your attention as a citizen in a democracy.